In a previous blog here, I looked at why there is a business case for using Regulatory Architects to manage Regulatory Architecture. If you have ever been involved in a regulatory change project, you will likely have experienced the many ‘pains’ that are encountered when trying to understand, let alone implement, complex regulations. 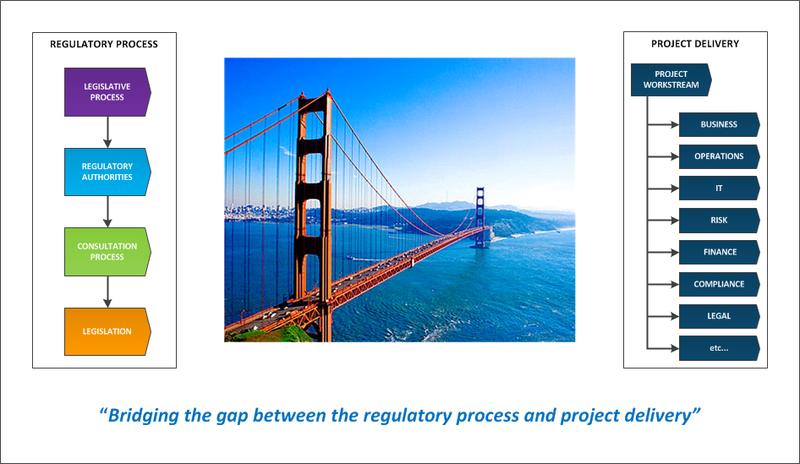 The role of the Regulatory Architect is to alleviate these pains by bridging the gap between the regulatory process and project delivery. So what are some of the tools that the Regulatory Architect might use to ‘bridge the gap’ and enable greater implementation efficiencies? In my next blog here, I want to look at the efficiencies that Regulatory Architecture will bring to the Programme.